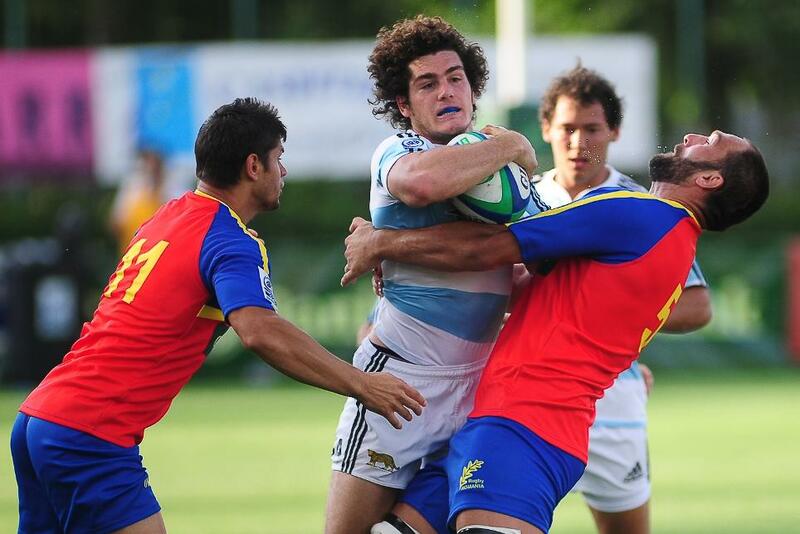 Romania will welcome Argentina Jaguars, Namibia and Spain to Bucharest for the World Rugby Nations Cup 2015 in June. Rugby World Cup 2015 participants Romania will have the chance to perfect their game plan ahead of September’s tournament when they again host the World Rugby Nations Cup. Players from Namibia and Argentina Jaguars also have the possibility to force their way into the Rugby World Cup squads when they, along with Spain, line up at the Stadionul National Arcul de Triumf in Bucharest in June. The round-robin competition takes place on 12, 17 and 21 June and plays an important high performance role for participating nations and for the ongoing growth of rugby in Romania. Both Romania and Namibia are qualified for England 2015 and will use the Nations Cup matches to fine-tune their preparations for RWC 2015. Argentina Jaguars will appear at the tournament for the seventh time, and were winners of the inaugural Nations Cup in 2006. Along with the World Rugby Tbilisi Cup in Georgia in June and the World Rugby Pacific Nations Cup in July and August, the top tier two nations will again be exposed to a competitive test schedule as they lay the foundations for Rugby World Cup 2015. The fast-improving Spanish team will appear at the tournament for the first time when they play the hosts on 12 June, after finishing third in the European Nations Cup earlier this year. World Rugby Head of Competitions and Performance Mark Egan said: “This tournament will play a vital role in preparing Romania and Namibia for RWC 2015. Each union is now at a crucial stage in finalising their respective playing squads who will represent their countries on the biggest stage in world rugby. “There will be players in the Argentina Jaguars squad who will be looking to put themselves in the frame for selection and Spain will be looking to improve on their very solid performances in this year’s European Nations Cup. "This tournament will play a vital role in preparing Romania and Namibia for RWC 2015"
President of the Romanian Rugby Union Haralambie Dumitras said: "The Romanian Rugby Union appreciates the opportunity to host this year's Nations Cup and we're certain that all teams will put on a great display of rugby in June. "The Romanian public views the World Rugby Nations Cup as the opening act for our national team before they travel to the Rugby World Cup in England, so supporters are eager to see a real spectacle. We trust that our efforts will translate to a well-organised competition, where everyone involved will enjoy rugby at its best."